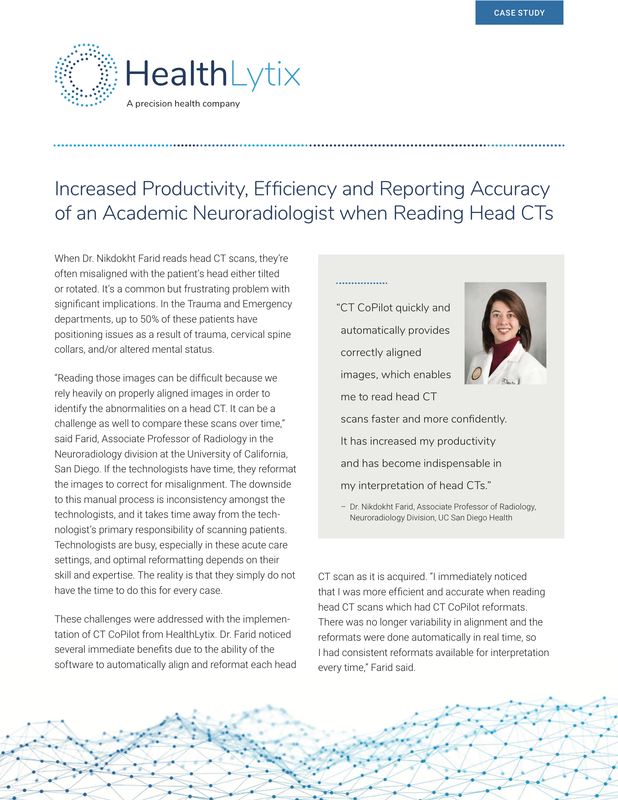 A neuroradiologist at a large academic teaching hospital who reads a high volume of head CT scans had struggled through the challenges caused by improperly aligned head CT images. After adopting CT CoPilot, all head CT studies are automatically aligned, accurately reformatted and can include a subtraction image and quantitative report. Increase the productivity, efficiency and clinical confidence of their neuroradiologists. Improve the productivity of their technologists. Augment clinical decision making for the trauma and surgical teams. Is your productivity or clinical confidence impacted by inconsistently aligned head CT studies?